There is more to eating almonds than you think. The nutrition you get out of these nuts is undeniably something that you don't want to throw away and a stepping stone to building a healthy diet. Almonds, considered the king of nuts, like the peanut have always been a part of people's diets. Whether you just like to snack, or are vegans looking for a healthy way to get more protein into your diet, almonds bring what your diet needs to the table. In this Slism, we discuss how almonds are taking root in the Japanese diet and how you too could get the same benefits by only eating a handful a day. What sort of nourishment can you expect out of eating almonds? Almonds are used as emergency rations in Japan and are widely used in the candy bars that we enjoy during break time. What nutrition value do almonds have to offer to the table? I use to associate almonds with getting pimples and high calorie, a negative image, until I found out the good packed into each and every almond nut. In fact, the nutrition you get out of almonds so amazing that one would be left asking questions. Almonds are an excellent source of vitamin E, an antioxidant thought to be the secret to anti-aging. How much vitamin E do I need to start feeling the antiaging benefits? It is recommended that people should consume 7.0mg and 6.5mg of vitamin E per day for men and women, respectfully. An almond weighs about 1 g per. This means that just by eating about 20 almonds a day you can get your daily vitamin E.
When taken at the 100g serving, the amount of calories you get from almonds may seem like a lot; however for 20 almonds, that's only 120 calories. In addition to vitamin E, almond puts vitamin B2 into your diet. Vitamin B2 is indispensable to burning of fat, which is why it has come to be associated and use to burn off fat. Almonds are an ample source of both, vitamin E for antiaging and vitamin B2 to burn off fat. Is eating almonds going to help you lose weight? As important and indispensable as vitamins and minerals such vitamin B2 and dietary fibers sound, concentrating on any one single component when dieting is how you say … an unbalanced diet. What support is out there that says eating almonds can help me lose weight? However, a recent study by Harvard University found out that not only does the almond diet help you lose weight; the chance that you diet will rebound decreases. This means less quitting one diet only to move to another, more stability during a diet recession. The study carried out for 6 months, required its participants men (1500 Calorie per day) and women (1200 Calorie per day) to restrict their diet. Participant were then split into two groups: one group only to eat low fat foods; and another focused on an eating unsaturated fat foods such as almonds and olive oil. In that later group, it was observed that participants remained in the same condition even a year following the trials. Diets that focus too much on how much calories you put in your body are highly likely to rebound. By putting healthy fats into your body such as that found in almonds, you can increase your chance of succeeding in your diet. Prevent you diet from rebounding by dieting smarter, relying on more than simple calorie counting. Although this diet focused on the benefits of adding the nutritious balance that almonds bring to a person's diet. It's important to understand complete balanced nutrition shouldn't rely solely on one food. Almonds are no exception. 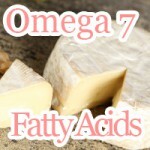 Oleic and linoleic acid can help reduce the amount of "bad" cholesterol in your body, leaving "good" cholesterol alone. 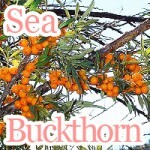 This has the added effect of increase the relative number of good cholesterol. This means less blood clots and less chance of suffering from heart related illnesses. Now you can see why people often boast about the many great health benefits that come along with eating almonds. Advance glycation end-product (AGE) is what relates proteins with sugar. Although there are not many people have heard about it, that doesn't mean that they're aren't people (researcher, dieticians) putting effort into understanding it more. Can eating almonds slow down the effects of aging and prevent common lifestyle diseases? In AGE, people bodies consist of both sugar and protein, which no one is any different. However, the storage of salivary gland extracts (SGE) associated with AGE is considered to be one of the causes of aging and common lifestyle disease. 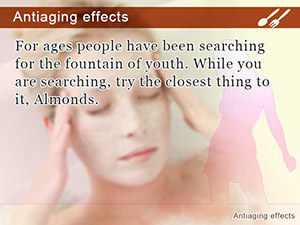 Eating almonds helps excrete AGE and prevent its storage in your body. Yes, just by adding almonds to your diet can you slow down aging and become less likely to develop lifestyle associated diseases. As for wrinkles, spots, and blemishes, the sole enemies to maintaining beautiful skin are connected with AGEs. Almonds contain large amount of antioxidants and vitamin E to give you an added antiaging effect. Although nutritious and thought to slow down aging as well as prevent disease, only eating almonds is not going to guarantee maintainable weight loss. Look at what happened to the apple diet. Just by supplementing a balanced diet with almonds, health and beauty benefits follow through. Eat 20-25 almonds (a handful) per day as a snack to hold down your appetite and feel less hungry throughout the day. Getting isoflavones from soy beans can be as easy as eating Edamame as a healthy snack. The benefits you get out of natural soy are literally endless. 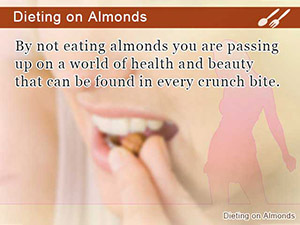 By not eating almonds you are passing up on a world of health and beauty that can be found in every crunch bite. 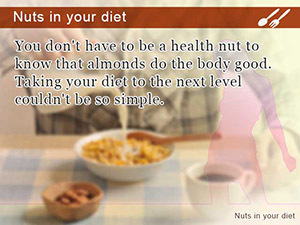 You don't have to be a health nut to know that almonds do the body good. Taking your diet to the next level couldn't be so simple. For ages people have been searching for the fountain of youth. While you are searching, try the closest thing to it, Almonds.